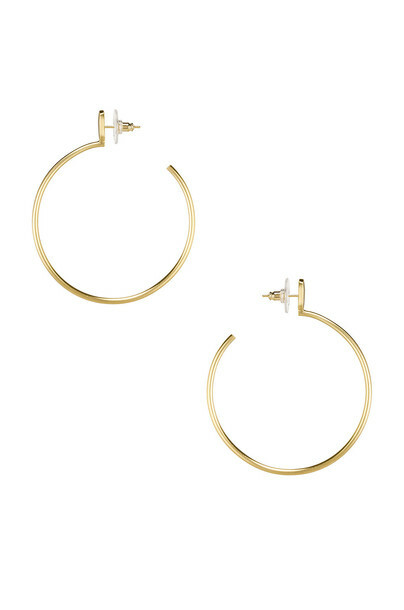 14k gold plated brass earrings. Post back closure. Measures approx 2" in diameter. KEST-WL279. 4217702315. Kendra Scott began her jewelry line in Austin, Texas in 2002 with $500 and an eye for design. Today, the natural stones and custom-shaped pieces intrinsic to the brand have attracted fans from all over the globe. Along with creating timeless jewelry that is loved by many, they focus their energy and success on family, fashion, and philanthropy.